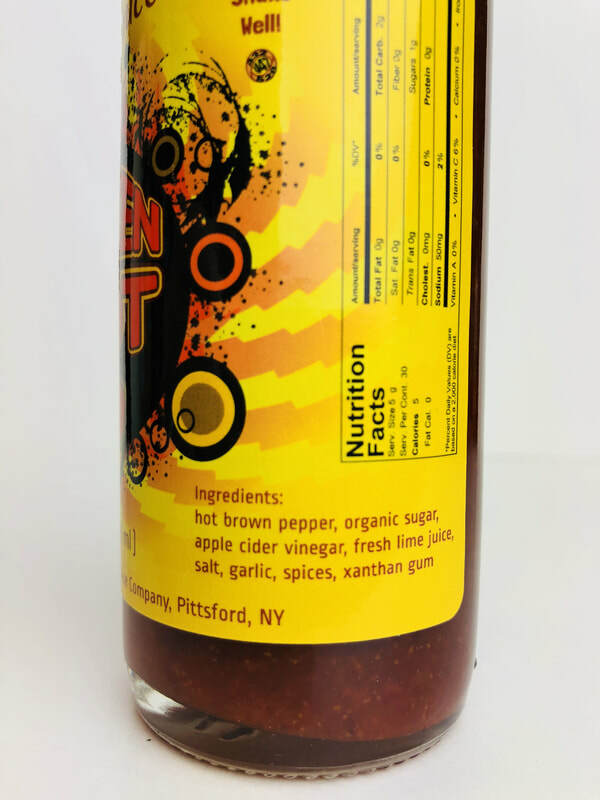 AS SEEN ON HOT ONES! Why would Hot Ones choose our Extreme Karma for its season 5 line-up? We’d guess it’s because they are committed to making the highest-quality sauces you’ve ever tasted. 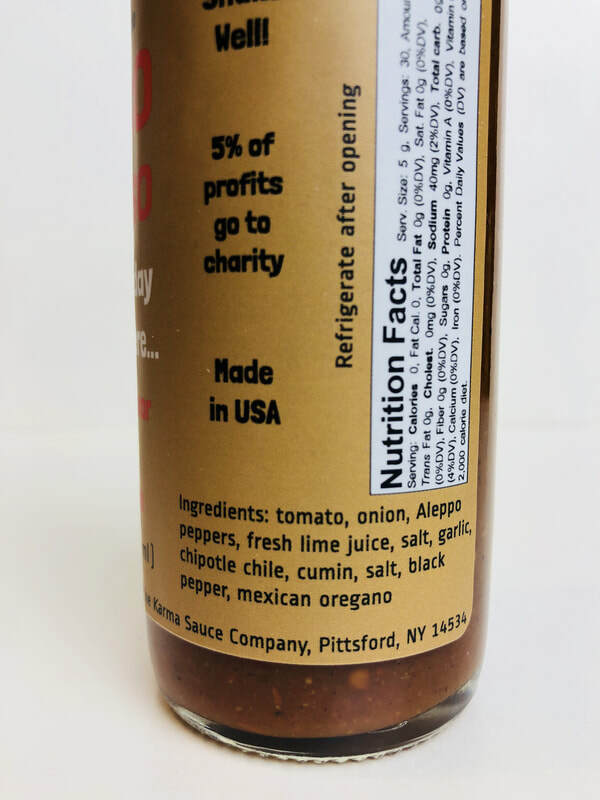 They use fresh peppers grown with care on their Finger Lakes family farm and even bottle it in their own micro-factory. They are committed to creating real food paired with unique, award-winning recipes. And it probably doesn’t hurt that it tastes great too! 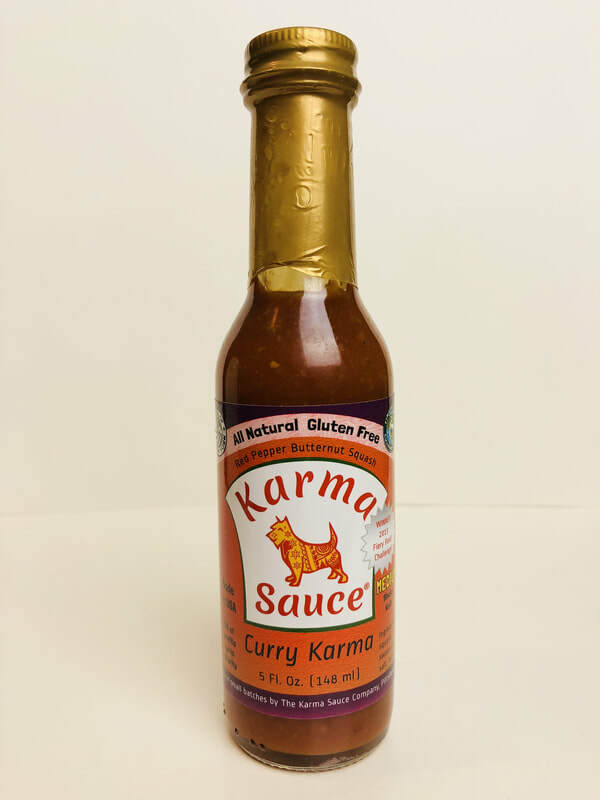 The Karma Sauce Company was founded with the mission of providing you with the highest quality healthy and delicious foods. Foods like those we make for ourselves. No compromises, no cut corners. They prep all the products in their own micro factory and grow most of their own veggies (especially peppers) on the Karma Sauce Farm. Most everything else comes from within 50 miles. Karma keeps their eye on quality every step of the way. All of their award winning products are gluten-free, wheat-free, soy-free, dairy-free and preservative-free. The Karma Sauce Company is dedicated to providing delicious food. Food that is good for you and a delight to your senses. TACO ROSSO from KARMA SAUCE.. A smooth smoky sauce with a ton of flavor. The tomatoes and wood roasted Aleppo peppers are accompanied by onion, a splash of fresh lime, pinch of cumin, salt, black pepper and Mexican oregano. This is not your normal taco sauce. The mix is spot on to add to any style of tacos from, pork, beef, fish, shrimp or any kind you may love, to add to its flavor, not to cover it up! But don't stop at tacos. 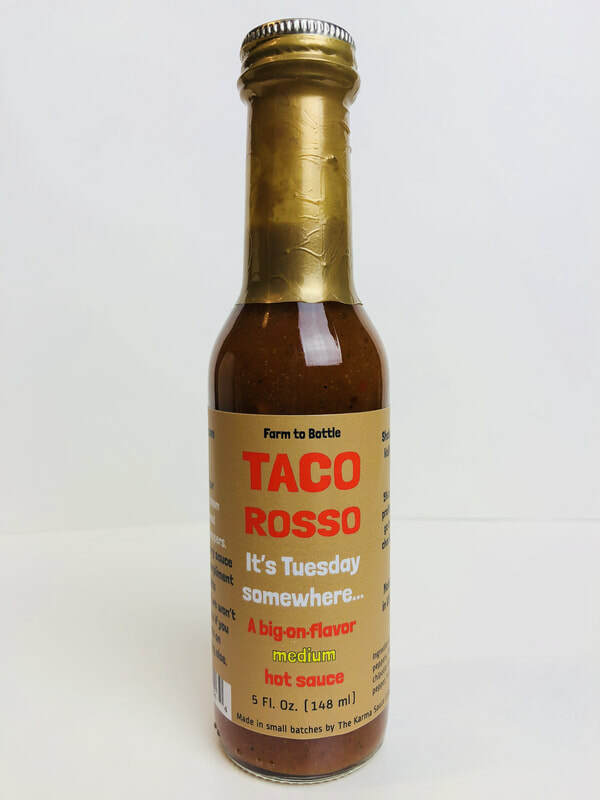 The smoky Aleppo peppers in TACO ROSSO are just what it needs to make this sauce come alive with every drop. Also great on eggs, potatoes, grilled vegetables, roast beef, sea food or anything you would like. You will love its unique savory flavor. CURRY KARMA from KARMA SAUCE.. Tamarind, ginger and a little curry spices are what makes this sauce come alive. Added to butternut squash and sweet potatoes for a rich creamy sauce with a little sweetness. The apple cider vinegar is added in without making this a tangy vinegar style sauce. 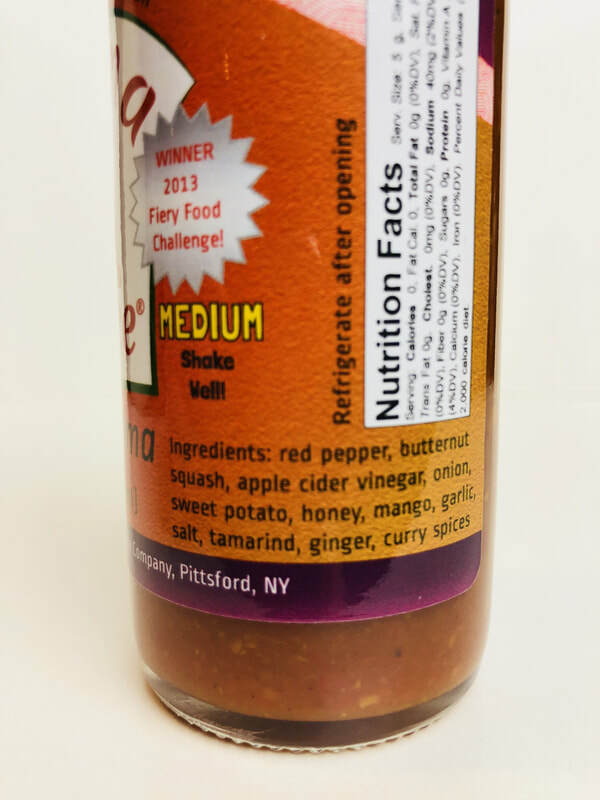 Onion, garlic and the sweetness from honey and mango are blended in to makes this sauce a delicious treat for any hot sauce lover. The heat is mild so everyone can enjoy its great flavor. This would be an amazing sauce to make dirty rice and beans, added to soups, pizza, eggs and more. But I'm looking forward to making some killer hot wings. 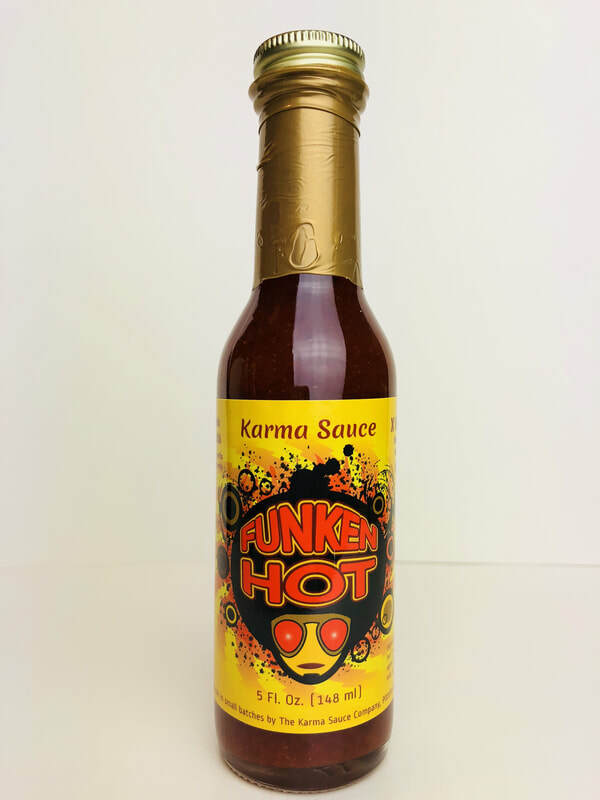 FUNKEN HOT from KARMA SAUCE.. The flavor of the hot peppers are the star of this sauce. (7 Pot Brown and Chocolate Habanero) With the addition of organic sugar, apple cider vinegar, fresh lime juice, salt, garlic and spices. This sauce has a bigger heat with a little sweet! 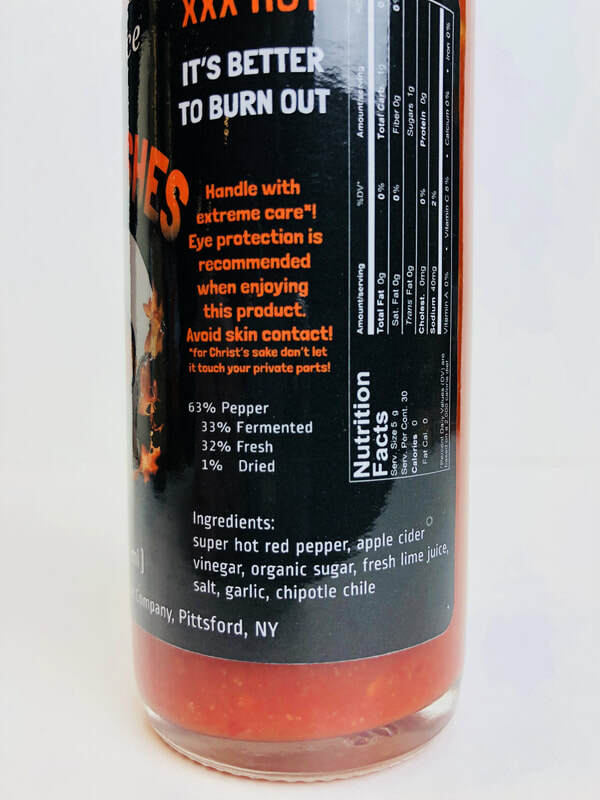 Pour this on your food to enjoy its amazing pepper flavor and get ready to burn. Add this to pizza, eggs, Mexican, rice, Chinese sweet and sour or anything you want to heat up. Add to your favorite BBQ sauce to add some heat. Add to cream cheese to make an amazing dip. And of course HOT WINGS! 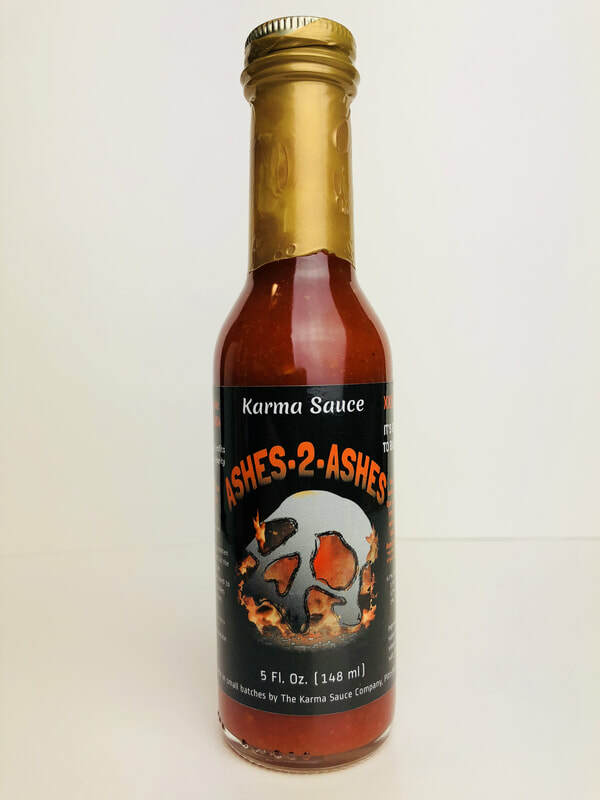 ASHES-2-ASHES from KARMA SAUCE.. The name says it all! This is a SUPER HOT, hot sauce! Even breathing it in will light your taste buds up. Made with Moruga Scorpion, Trinidad Scorpion, Primo/Reaper and Bhut Jolokia peppers. But yet there is a great flavor coming from the addition of apple cider vinegar, organic sugar, fresh lime juice, salt, garlic and added smokiness from chipotle chile. The heat and flavor of this sauce can be added to anything because of its pepper forward flavor. USE WITH CAUTION! This one will definitely burn you if your not carful.